My flight to Washington was cancelled on Saturday, because of Snowzilla. That was good news for me: it meant I could switch to the same flight on Sunday, which I preferred. So why hadn’t I booked my flight on Sunday in the first place, given that it meant an extra day at home? The reason was that Virgin insisted on charging an extra £1,100 for the return flight unless I was staying away on a Saturday night. As a small charity we can’t justify that kind of premium. So I was scheduled to spend my weekend in Washington, unnecessarily, rather than at home. Virgin’s pricing has nothing to do with supply and demand for flights on particular days, or the cost of running the planes. Virgin will happily charge me the lower price if I choose to fly Saturday-to-Saturday or Sunday-to-Sunday. They charge the lower fare if I fly out on Sunday and come back two Saturdays later. They don’t care which flights I am on: they only care about the gap between them. So why do they charge me extra if I fly Sunday to Saturday? The reason Virgin charges extra if I don’t stay on Saturday night is that they are using this rule to charge extra for business travellers. Like any firm, Virgin ideally wants to charge every customer what they are willing to pay. They want businesses, who are usually willing to pay higher prices, to pay more. 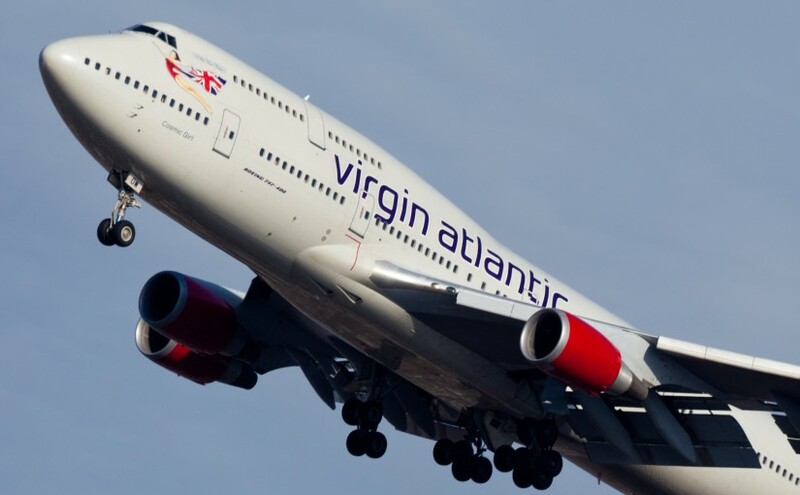 They want personal travellers, who are paying for their own ticket rather than using someone else’s money, to fly Virgin at a lower price rather than use another airline, but they they don’t want business travellers to pay the lower fares available to personal travellers. This behaviour, which is called price discrimination, is not illegal. Nor is it, in itself, economically harmful. Price discrimination increases the firm’s revenues by the same amount as it reduces the consumer surplus. Policymakers should not generally be concerned about a zero sum transfer of welfare from consumers to producers, provided that they are taking steps with their other policies to deal with distribution of income and consumption. Indeed, enabling price discrimination is often better than forcing firms to charge a single price to all their customers, since unless there are strong market pressures pushing prices down to the marginal cost for everyone, a uniform price may result in poor consumers being priced out of access to the product altogether, even though they would be willing to pay marginal cost. Price discrimination (a zero sum transfer of surplus) makes no difference to total social welfare, whereas pricing some consumers out of markets reduces it. But there is a big, hidden welfare cost in price discrimination which is rarely discussed: the cost of the contortions to which consumers are put to prove that they are price-sensitive. The problem is that firms cannot directly observe how much a consumer is willing to pay, so they have to elicit that information indirectly, and that can be expensive for the consumer. The business traveller section of the Economist this week has got this wrong (unusually). The reason that airlines don’t automatically upgrade economy class passengers to empty seats at the front is not the fear of annoying passengers who have paid full fare. The reason is that airlines don’t want people who might be willing to pay for extra legroom to book the cheaper seats in the hope they’ll often get a business class seat for free anyway. So to make sure that businesses go on buying premium seats, the airline does not allow economy class passengers to move in to empty business class seats once the plane doors have closed, even though there would be no marginal cost to these seats being used. This rule therefore reduces overall passenger welfare (because people could fly in more comfort at no additional cost to society as a whole), but is maintained by airlines to protect their ability to charge higher prices to passengers with a higher willingness to pay. Some price discrimination is costless to everyone. Students get cheaper software or cinema tickets by producing their identification. Pensioners get cheaper haircuts, meals and public transport. But sometimes it isn’t possible to separate people by their likely willingness to pay, and in these cases, firms make people jump through hoops to prove that they are price sensitive. Examples include requiring people to clip coupons for supermarket discounts, travel on trains at unsocial hours, or stay away at the weekend. A few weeks ago I finished a meeting early in Brussels, and arrived at the Eurostar station in time to catch an earlier train home. The train was largely empty. But I was not allowed on it, because my cheap ticket did not allow changes. So I spent 3 hours hanging around the railway station, travelled on a far busier train, and got home three hours later in the evening. This reduced my welfare, while not increasing anyone else’s; but Eurostar has to enforce rules like this to distinguish passengers who are willing to pay more from passengers who are unable or unwilling to do so. It is not because of the few thousand francs which would have to be spent to put a roof over the third-class seats that some company or other has open carriages with wooden benches. What that company is trying to do is prevent the passengers who can pay the second class fare from travelling third class; it hits the poor, not because it wants to hurt them, but to frighten the rich. And it is again for the same reason that the companies, having proved almost cruel to the third-class passengers and mean to the second-class ones, become lavish in dealing with first-class passengers. Having refused the poor what is necessary, they give the rich what is superfluous. Making people jump through these kinds of hoops may, cumulatively, be a non-negligible tax on welfare. I have had to stay abroad at weekends, or wait for later trains rather than travel on empty, earlier trains, to fulfill the terms of my cheaper ticket. Big data could affect this either way. On the one hand, it may empower consumers to choose lower prices, despite firms’ best efforts to charge some consumers more than others. On the other hand it may enable firms to distinguish groups of consumers in ways that impose less of a burden on both firms and consumers. All this was especially apparent to me this weekend, as I enjoyed spending Saturday cycling to visit friends rather than flying a day early to Washington and working from a hotel room. It made me reflect on how much time and enjoyment customers have to sacrifice, all the time, to enable firms to maintain effective price discrimination. Overall nice discussion, but with one big piece omitted, especially given the focus on consumer welfare. While you are right that, in the short run airlines don’t lose anything by offering seats at marginal cost, in the long run they need to cover both marginal and fixed costs. Price discrimination allows airlines to cover a (substantially) greater portion of fixed costs from high-value fliers (meaning, those who derive more value from a given ticket, so are therefore willing to pay more for it). This therefore lowers the portion of fixed costs that needs to be recovered on average from other flyers, opening the friendly skies to millions of individuals who otherwise would never be able to afford any ticket. One of the lessons of Dupuit is that third class (or, economically, marginal-cost class) is often full. If not for price discrimination, it wouldn’t exist at all — its fixed costs are entirely x-subsidized by higher-class products. This means that everyone stuck in third class has had their overall welfare improved. There may be some overall noise and inefficiency in the sorting between classes — this is only second-degree price discrimination, after all — but on net it’s hard to argue that it’s not an overall win for consumer welfare. but it is useful that you spelled it out. Actually, most US airlines do upgrade frequent flyers to first class on domestic routes if there are open seats, while other airlines (e.g., British Airways) never do so unless they have to. The reason for this, as Owen says, is to preserve the value of a premium seat. With BA, if you want to travel in a premium cabin, you have to book a seat in a premium cabin, or hope that an earlier flight is cancelled so that BA upgrades people to clear the backlog (very unlikely). However, whether to upgrade people routinely is a finely balanced business decision. BA’s policy actually reduces the incentives to be loyal to BA because the benefits of having lots of frequent flyer miles with them is relatively small. When airlines always fill premium cabins, there is a clear incentive to be at the top of the list for upgrades. As for Gus’s point about who is subsidizing who, one of the things that I have been struck by is that for many airlines, the pricing policy is rather rational. Business class seats (especially those on long haul flights with lie-flat beds) take up a lot of room (often four times as much floor area as an economy class seat. If an airline charges four times as much for such a seat, and doesn’t fill all the premium seats, then it is the passengers in economy who are subsidizing those in the premium cabins. I must be missing something here, why not just book two seperate tickets? Because the airlines charge a premium price for single tickets. Returns (with a Saturday night) are much cheaper. What you can do – and what I actually often do – is book two nested return flights. So I book one return flight LON – DC – LON going out in Feb and back in April, and one return flight DC – LON – DC which brings me back from DC in Feb and takes me out again in April. I see. We’re not used to that in Norway. Great way to hack the system, as long as the savings make up for the times you miss the outbound flight and still need the return flight. Are you sure that price discrimination does not increase total social welfare? At the extreme, perfect price discrimination ensures all the surplus between a demand and mc curve is captured. This improves upon the single price/market power scenario which results in a Harberger triangle, resulting in some foregone social welfare. “Indeed, enabling price discrimination is often better than forcing firms to charge a single price to all their customers, since unless there are strong market pressures pushing prices down to the marginal cost for everyone, a uniform price may result in poor consumers being priced out of access to the product altogether, even though they would be willing to pay marginal cost”. As you say, there would be a welfare cost if there is a single price above marginal cost, and perfect price discrimination would increase total social welfare (ignoring distribution). Next Next post: Will we be the first generation to eradicate malaria?